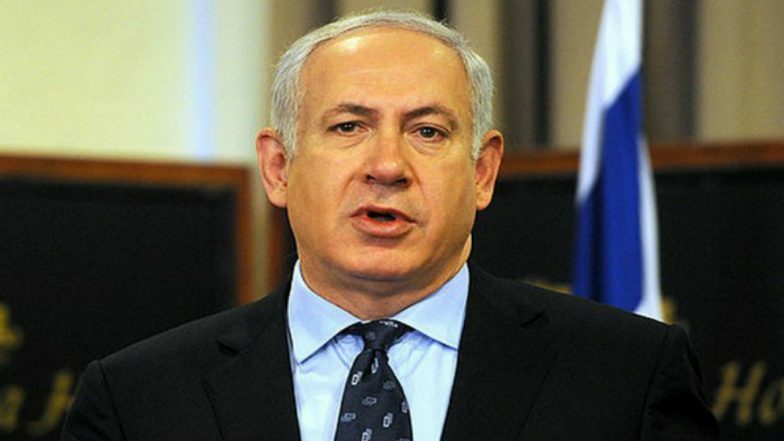 Jerusalem, April 7: Israelis vote Tuesday in a high-stakes election on whether to extend Prime Minister Benjamin Netanyahu's long tenure in power despite corruption allegations against him and a strong challenge by an ex-military chief. Bolstered by his reputation as guarantor of Israel's security and economic growth, Netanyahu has spent more than 13 years as premier and opinion polls show that he could well win again. He would be on track to surpass founding father David Ben-Gurion as Israel's longest-serving prime minister if he wins. In a last-minute appeal to right-wing voters, Netanyahu said Saturday he was planning on annexing Israeli settlements in the occupied West Bank if he wins. The deeply controversial move could end hopes for a two-state solution with the Palestinians if done on a large scale. Israel Awaits Decision on Benjamin Netanyahu's Indictment in Corruption Case. Netanyahu is fighting for his political life while facing a dual threat in this year's election. The possibility of indictment hangs over him while a centrist alliance headed by political novice Benny Gantz is battling his Likud neck-and-neck in opinion polls. Some surveys have shown that Netanyahu's party could win fewer seats than Gantz's Blue and White, but still be best placed to form a governing coalition based on support from other right-wing parties allied to him. Through much of the acrimonious campaign, polls have shown Likud and Blue and White with around 30 seats each in the 120-seat parliament -- far short of an outright majority and necessitating a coalition, as is usual in Israel. Netanyahu heads what is already seen as the most rightwing government in Israel's history, and if polling trends hold, his next coalition could be even further to the right. But analysts caution against drawing conclusions just yet, pointing to the number of undecided voters and the possibility that smaller rightwing parties fail to win the 3.25 percent required to enter parliament. "The Likud bloc seems to have a majority," said Gideon Rahat of the Israel Democracy Institute think tank. But "it still can change because opinion polls cannot really tell you whether a party will pass the threshold". Victory seemed sure for Netanyahu when he decided in December to call for early elections even though they were not due until November 2019. The move by the 69-year-old known for his deft political skills was widely seen as a tactic to face the corruption allegations with a fresh electoral mandate behind him. But since then, Gantz has emerged as a serious contender. He has been helped by his decision to ally with two other former military chiefs as well as with ex-finance minister Yair Lapid and his Yesh Atid party, which currently holds 11 seats in parliament. The attorney general's announcement in February that he intends to indict Netanyahu on charges of bribery, fraud and breach of trust pending a hearing gave the premier's opponents a further boost. Netanyahu has employed divisive populism throughout the campaign in what critics say has amounted to the demonisation of Arab Israelis and others. Citing a law passed last year declaring Israel the nation state of the Jewish people, he said recently the country was "not a state of all its citizens". He has also brokered a deal that could see the entry into parliament of a member of an extreme-right party many view as racist. But he has bet on his experience as well, portraying himself as Israel's essential statesman, while denouncing Gantz's alliance as leftist and "weak" despite its security credentials and the fact that many of its policy ideas are similar to his.